First off the weekend was over and done with before I even knew it. It's a double-edged sword being busy on the weekend. It flies by if you're busy but you also feel productive. It was a polish filled weekend. ALL day Saturday was spent lining my helmers with shelf liner (those gray things in the first photo below) but it feels good to have my polish NOT slide around all drunk like when I open the drawers. Also I did some swatching...so polish, polish, polish. 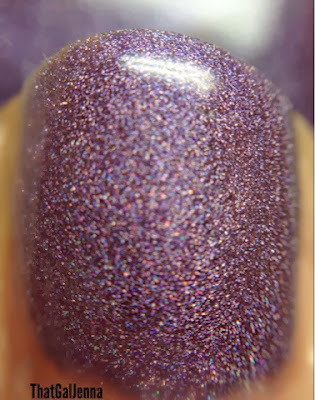 And in the polish vein...I have another Aly's Dream Polish to show you today! If you hadn't guessed it yet...Aly's is hands down my favorite polish brand. It's true. 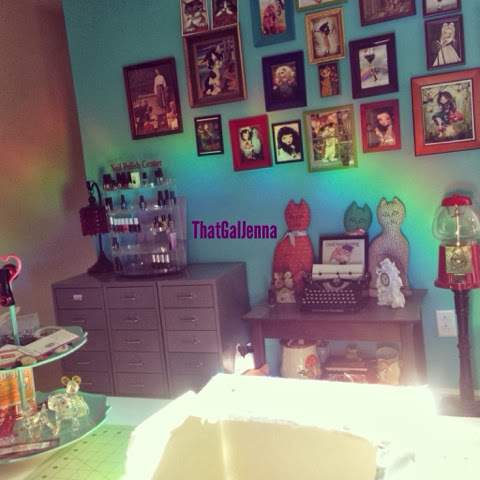 While taking photos yesterday morning I realized my light box I use for photos makes a fabulous rainbow when direct sunlight hits it. It kinda made my morning. I snapped a photo to share the rainbow. Fun right? It totally brightened up my morning...I wish I could start every day that way! 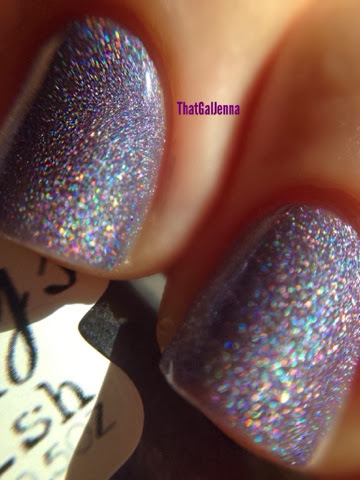 I'm sharing with you today - Blue Violet - a soft and dainty blue based purple holographic polish. Words cannot express how lovely this polish and all Aly's Dream Polish is. 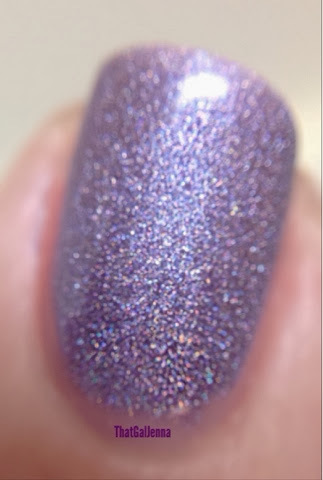 There is something so special and unique about the blend and formula and the holographic sparkle is perfection. Two macros to show color variation depending on light. In direct or bright light it'll appear more blue based. But COME ON they are both freaking beautiful! Double the macro - double the fun. I CAN'T EVEN....the rainbow in direct sunlight makes me want to run in circles like a crazy rainbow weirdo. And on that note let's wrap this baby up! Intensely bright but not too bright and it's perfectly dainty but still striking. Aly's WILL be opening up her shop again before too long for another round of pre-orders so make sure to follow her FB page to stay in the loop! You can bet your bottom dollar I'll be snagging more! Because you can never have enough Aly's.